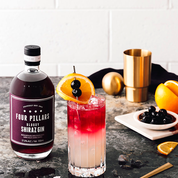 Clementine Communications are delighted to announce its appointment by Four Pillars Gin, an Australian, multi award-winning gin consumer brand. Four Pillars have been producing delicious, premium gin since 2013, from their boutique distillery, situated in Healsville, Australia. 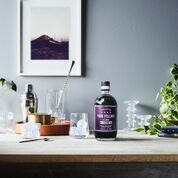 Explore more about the brand and their fabulous gin in this blog. “At Four Pillars Distillery we want to elevate the craft of distilling, so everything we make is crafted on four pillars.” The use of copper stills, the finest water and botanicals sourced locally and from all over the world. All Four Pillars gins are produced with the highest care and commitment from its excellent team. 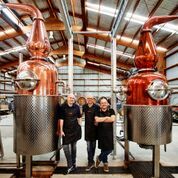 The gin itself is distilled in impressive stills, hand-crafted at the Carl workshop in Germany – Four Pillars was the first gin brand to use such innovative stills in Australia, which demonstrates their mission to be the best at what they do in the gin sphere. Four Pillars are extremely passionate about quality and transfer this love over to their creations. We are very excited to be part of the Four Pillars global campaign and to represent such an innovative and rapidly growing brand.